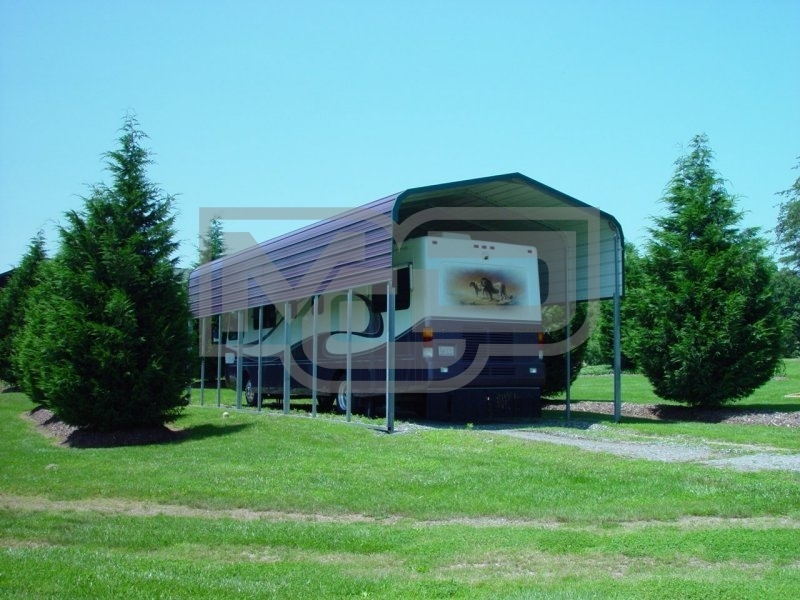 12' Wide x 36' Long x 12' High RV Carport Shelter with Regular Roof System (Economy). This unit is popular among RV owners because of its low cost. Unit has 3' Wide Panel on Both Sides with the Back End and the Front End Open. You may want to consider a wider unit for clearance and to extend slide-outs. If a unit longer than 36' is needed, in most areas, we only provide the Vertical Roof System for those.